Aquavita’s wide range of bottleless water coolers provide an endless supply of filtered water, cutting out the inconvenience of water delivery during your busy work day. Ditch the distraction of office water delivery and make your life easier with a point of use water cooler rental from Aquavita. Our trained technicians will install the dispenser directly to your building’s water supply and our coolers will purify it upon dispense and provide you with an unlimited supply of chilled water. You’ll also reduce your carbon footprint by cutting contribution to landfills and trucks on the road. 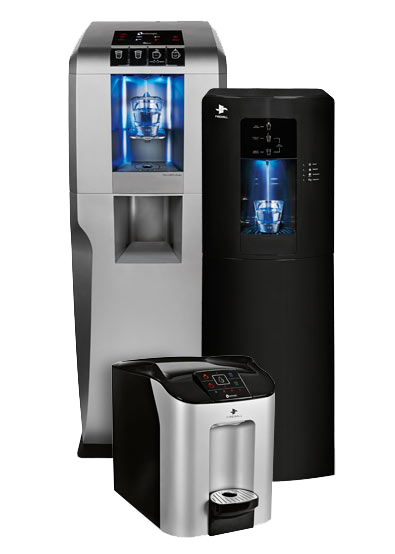 Made to the highest standards, only Aqauvita provides a full range of bottleless office water coolers. From cold, hot, extra hot water, ice and even sparkling, Aquavita gives you an assortment of sophisticated and stylish bottleless coolers that will fit your workplace needs and standards.